Edge lighting is a method to backlight a graphic. 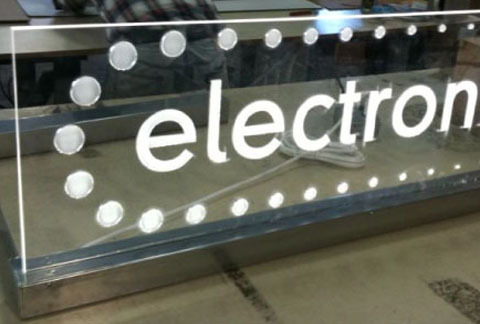 An array of LEDs is mounted along the edge of an etched acrylic. As the light passes through a panel, the etching disrupts the light pattern illuminating the graphic.